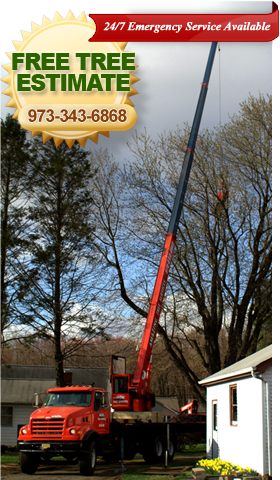 Are you in need of a Morris County, NJ tree service that offers help to get you the most from nature. Our tree service professionals have you covered, whether you’re planning on cutting down trees, trimming and pruning your current trees, lot clearing, tree removal, or something else. Amazing Tree Services is dedicated to customer satisfaction. 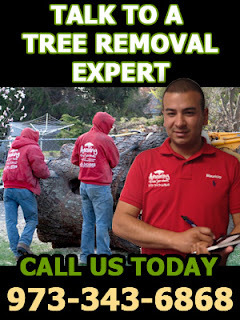 We are a fully insured and expertly trained tree company with years of experience. Our expert Morris County, NJ tree service ensures that the trees on your property are well-manicured, safely removed, and provide the peace and value you want to achieve. Tree cutting is one of the Morris County, NJ tree services we offer at Amazing Tree Services. Whether dead or decaying trees need to be removed, lots need to be cleared for building, or yards need to be opened up for maximum space, we guarantee no damage or destruction in the path of the falling tree. Tree pruning and trimming is essential to keeping your property looking great. Trees can be trimmed to remove branches, limbs, or other elements that may fall or wither away. When properly maintained, you trees will look great and grow the way nature intended. This service will make the trees more manageable. Tree removal is another one of the Morris County, NJ tree services we offer to get rid of fallen trees that have already laid their destruction. If your home or office has already taken on damage from a fall tree, or more dramatically, the tree hit a power line, this is a job that needs to be handled immediately and by professionals. You need to clear the tree and get everything back in its working order without waiting. At Amazing Tree Services, we also offer 24/7 emergency Morris County, NJ tree services, so we can be there when you need us. For more information on our affordable Morris County, NJ tree service call Amazing Tree Services today! Tree removal in NJ is hazardous and can be particularly dangerous. This is a process that should be left to professionals and not by the homeowner, to prevent any injury or damage. Amazing Tree Services is committed to your safety and making your property look the way you have always envisioned it. When we perform tree removal in NJ, we take measures to ensure careful, precise removal and neutralize any dangers. Our quality standards cater to your satisfaction, providing you with more space on your property to use. Whether your tree is dying, dead, or you just want more sunlight on your property, our tree removing experts have the training and experience to complete your tree removal project efficiently and affordably. When you attempt tree removal yourself, you are risking the tree falling away from the area you intended. This could cause it to fall on a house, power lines, or even people. A dead or dying tree will start to decay from the inside out, becoming very unstable and you need to have it removed by a professional as soon as possible so it does not fall on its own. At Amazing Tree Services, we have own our crane available for these situations. We always recommend a professional to remove a tree from your property. Doing tree removal in NJ on your own is not worth the safety risk it involves, and chances are it will create more problems that could end up costing you much more money than if you had just called us for the tree removal.